.....since I am celebrating my birthday for the 61st time ...I want to reserve this spot for me to try and get a truck pic of some sort today. It was a nice...cool at + 2 degrees...day but the November sun low in the sky and the Distracted Driving law in this area makes for a lot of missed opportunities. This Cascades Recovery Plus Volvo isn't anything special but represents daycab City Trucking which is mostly what I saw all day. We'll allow it Rob.......cause you're the boss!! Happy Birthday, all day! I went today maybe for my last excursion for 2013. 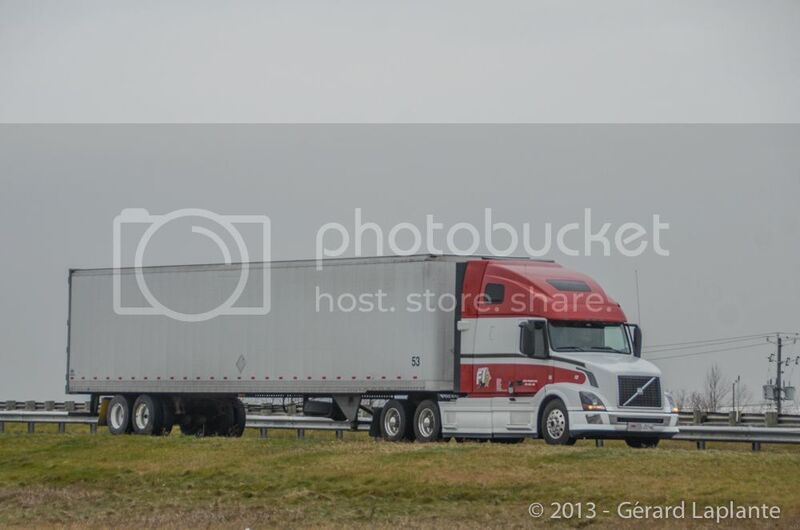 I was quite surprised to catch this Volvo VN for Fidele Tremblay Transport. It's a little strange to find this old Kenworth paint pattern on a Volvo. The 15th of November was a perfect day to hook up this newish DAF and bottom dumper before the rental customer picked it up. This older Freightliner from TransForce container hauling division P&W International Intermodal is parked in Mississauga on Sunday afternoon 11-17-13. 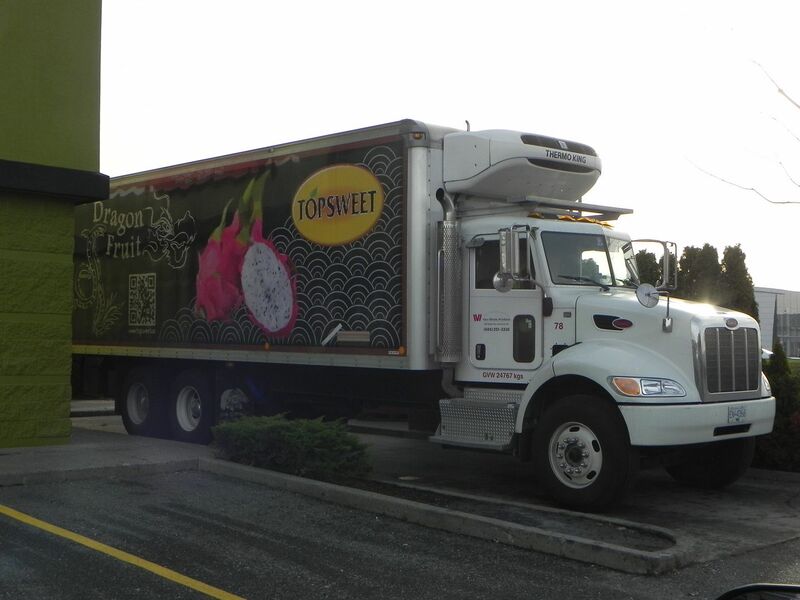 The owner-op driver of this Pete leased on to Laidlaw was in the supermarket picking up supplies. 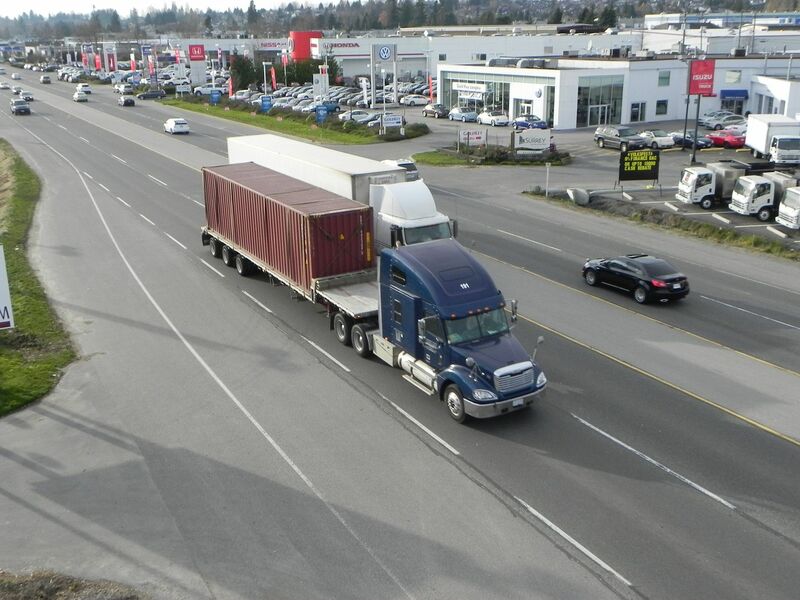 The 21st sees us deliver a UD Trucks (Nissan) PK17-280 (17 tonne GVM & 280hp) 4x2 stinger unit and two axle skeletal semi trailer built to cart empty containers in the form of either 3x20" or 1x20" & 1x40". Saturday morning, Nov 23, a Van Whole produce Peterbilt 330? 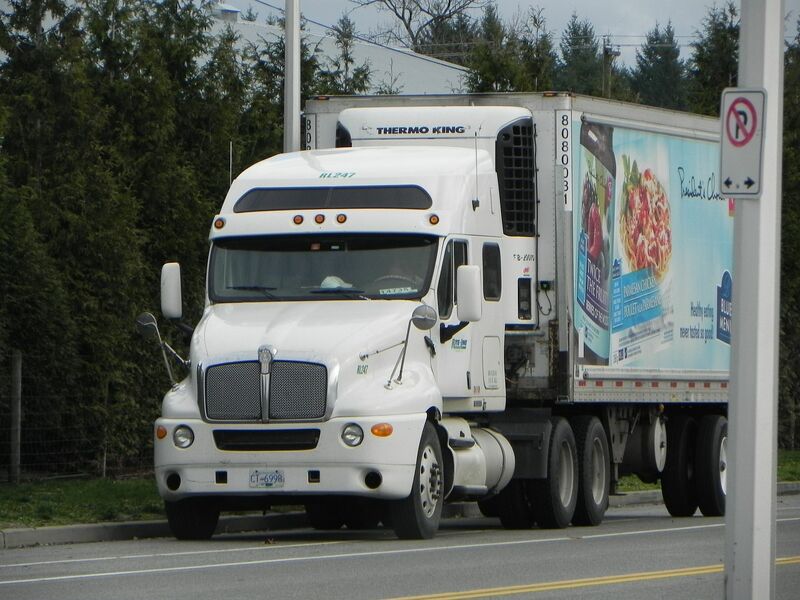 delvers to a local Produce market in Langley, I like the steelies all around, cool truck. 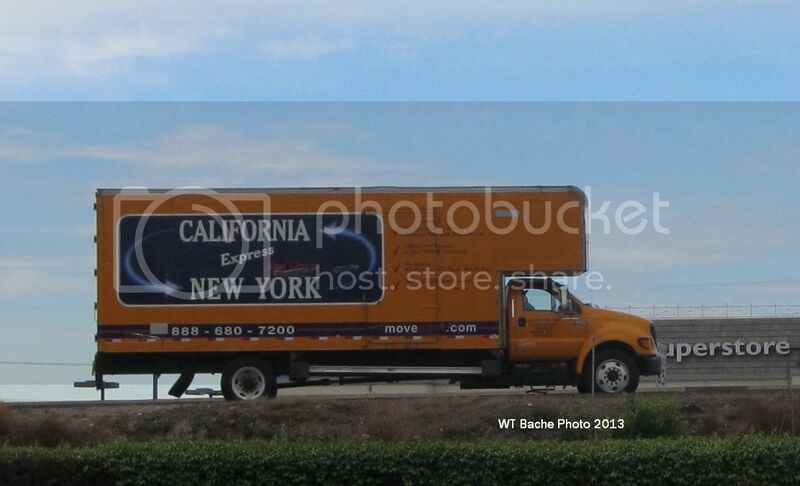 11-25-13 Vons(Safeway) Volvo with reefer on 605 north. I first saw a Volvo pulling for them last week . Up to now it has been nothing but Prostars in this area.